A lover of Satchmo and Nat King Cole since childhood, Earanee grew up with an ear for jazz — learning saxophone and dabbling in jazz singing since high school. While many flock to Lindy Hop for its high energy steps, it was the swingin’ tunes that reeled Earanee into the dance world in 2010. 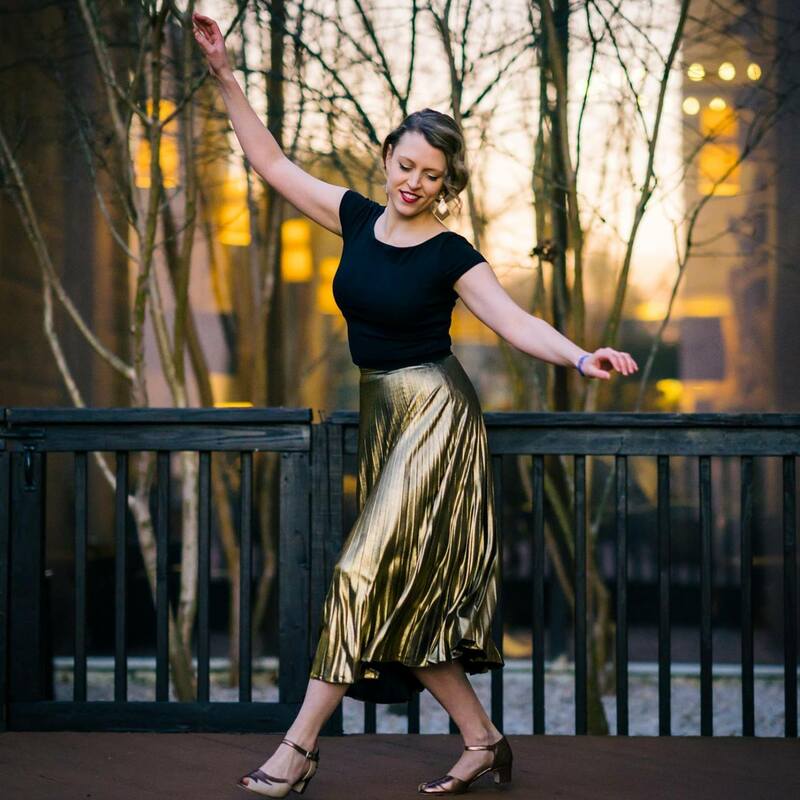 She soon began following her love of swing dance around the globe, leaving her home in Adelaide to dance in both Europe and the US. Now a seasoned instructor with experience teaching across Australia, Europe and the US, Earanee has won titles at numerous events including ILHC, and Lindyfest.